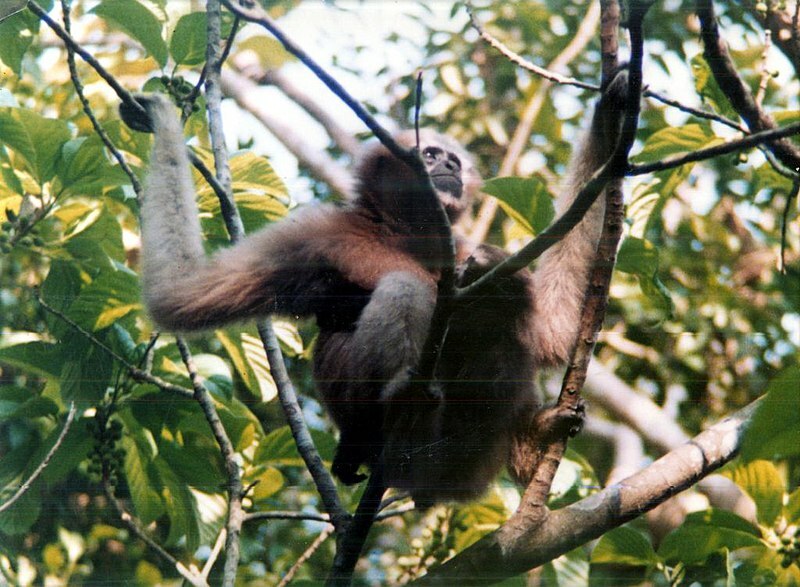 English: Ulluk, or Hoolock gibbon, from Shrimangal, Sylhet, Bangladesh. Wikimedia has received an e-mail confirming that the copyright holder has approved publication under the terms mentioned on this page. This correspondence has been reviewed by an OTRS member and stored in our permission archive. The correspondence is available to trusted volunteers as ticket #2007070610005922.